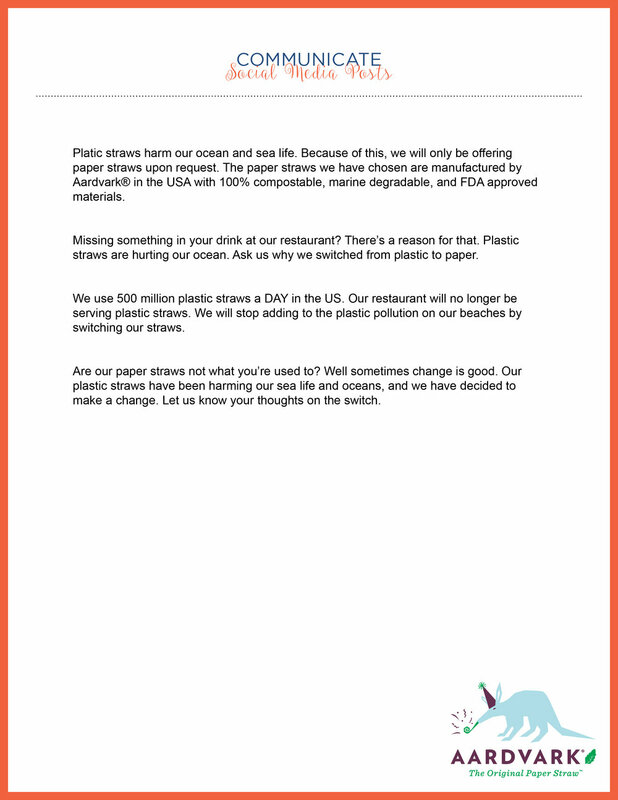 We want to make it as easy as possible to make the switch from plastic to paper straws. We have a straw shop where you can order directly from us with a 2-3 week lead time, or if you are interested in purchasing in volume or would like a custom straw, please contact restaurants@aardvarkstraws.com for more information on sizes and designs. If you would rather order through your distributor, we would be happy to work with them. Contact us with your distributor's contact information and the products that you are interested in. Aardvark® straws can also be customized and personalized with any restaurant or company name, logo or tagline, increasing brand awareness and combating pollution from plastic straws at the same time. Concerned about quality? Please purchase a sample here to test out our quality or you can read up on what makes Aardvark so durable! If you need a sample quickly, please go to your nearest Party City store to find our straws. Have you considered switching to compostable plastic straws? Here is why environmentalist advise not to. A compostable plastic straw act just like a regular plastic straws in marine environments. 5 Gyres also did a study on compostable plastics, that you can read about here. 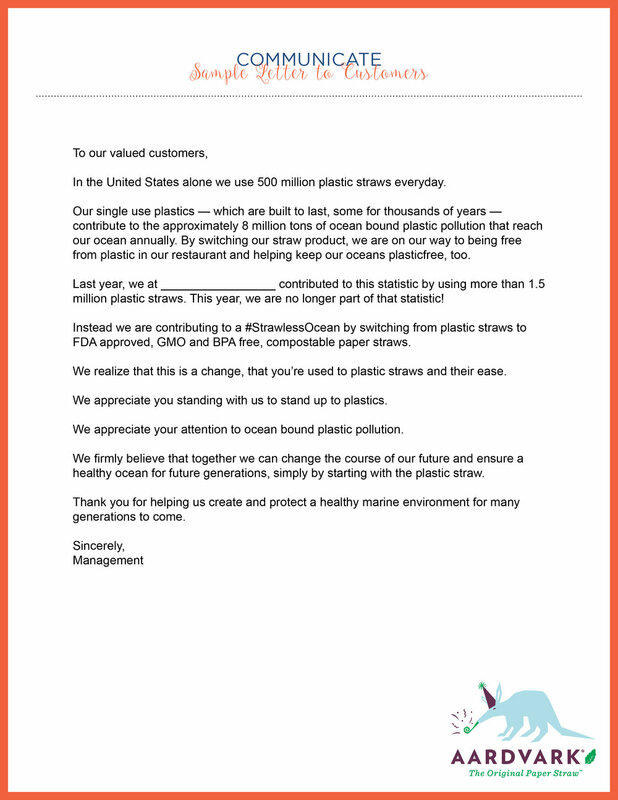 If you are a restaurant who has gotten rid of plastic straws in your establishment, we want to add you to the map! Please email your business' information to restaurants@aardvarkstraws.com for us to update the map for you! We want to make sure every person know's where the closest eco-friendly restaurant is. HAVE YOU ALREADY SWITCHED TO PAPER? FOR YOU TO PRESENT TO YOUR CUSTOMERS.